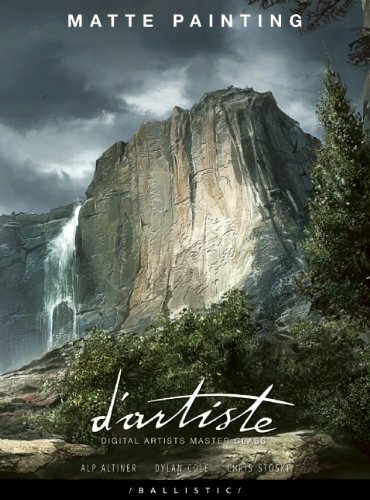 Matte Painting is the third book in the d'artiste Digital Artists Master Class series. The series is actually a look at the process of creating art in tutorial style. This book presents Alp Altiner, Dylan Cole and Chris Stoski. Each artist has a biography written by themselves on their beginnings, education, inspiration, life and career in art. The tutorials that follow are very well captioned. They explain the style, idea and the execution. Each comes with a still from the work in progress. There are lessons on using photo reference for compositing and texturing, fixing perspective and other useful tips. I have some other ballistic books and I love them. Great quality. I'm thinking of buying these too. Opps, I am sorry, i think i got confused myself. May I know what's the proper sequence? Sorry!